Darren is dedicated to helping his clients work toward financial independence. He remains focused on his clients and guiding their financial situation so they can pursue their dreams and enjoy their true passions in life. Darren has spent the last 15 plus years of his professional career helping people work toward financial freedom. Darren obtained a Bachelor of Science degree in business administration. He began his career in financial services at Strong Capital Management evolving into more than a money manager. 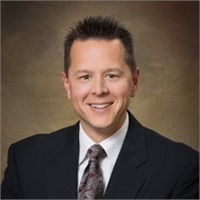 Darren strives for a deeper client connection, providing risk management strategies, and customized strategies tailored to his clients' goals and objectives. Germantown, Wisconsin is home to Darren, his wife and 2 sons. He is also a "Grandpa" - his daughter and son-in-law soon welcoming their second child into the world. Darren's family enjoys spending time together, supporting one another in their athletic endeavors and encouraging one another with laughter and love. Darren enjoys riding motorcycles, playing softball, tennis and cards. Darren and his wife are actively involved in their community and their children's extracurricular activities. Darren's smile makes everyone feel at ease. His spiky hair makes everyone smile.